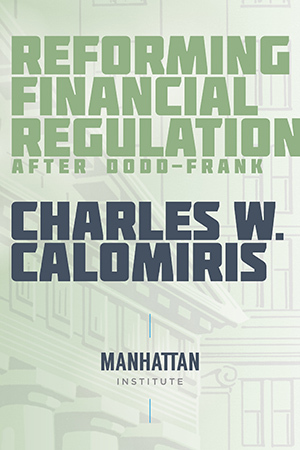 Reforming Financial Regulation After Dodd-Frank is the very best analysis of the general problem of financial regulation and the 2008 financial collapse that has been written. Post-2008 financial regulatory changes largely have been a failure. They have produced high compliance costs, while constructing regulatory mechanisms that are unlikely to achieve their intended objectives. Furthermore, financial regulation increasingly has adopted processes that are inconsistent with adherence to the rule of law, which not only threaten the fundamental norms on which our democracy is founded but also undermine the effectiveness of regulation. The combination of high costs, ineffective mechanisms, and inappropriate processes reflects a neglect of the core principles that underlie successful financial regulation. This study reviews the shortcomings of current regulatory practice, identifies the principles that should guide our regulatory architecture, and suggests reforms that are consistent with those principles. Download your copy here. 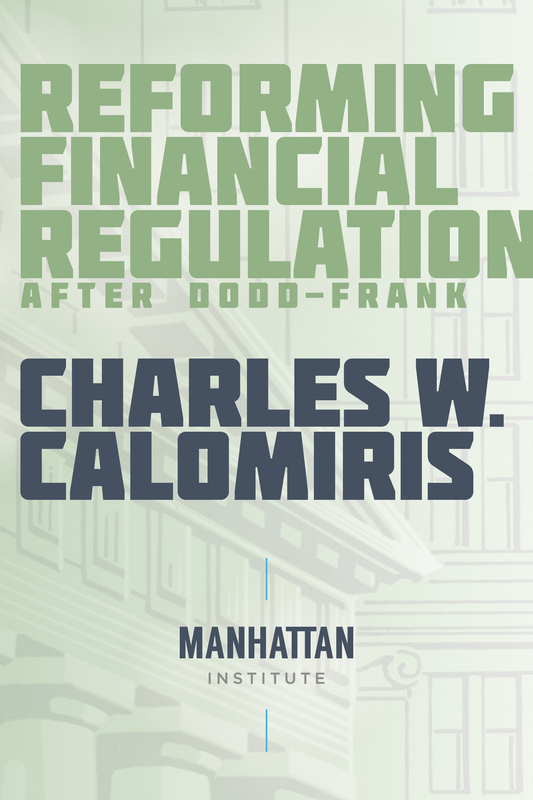 Charles W. Calomiris is the Henry Kaufman Professor of Financial Institutions and Director of the Program for Financial Studies, Columbia Business School. He is also a research associate at the National Bureau of Economic Research, a book fellow at the Manhattan Institute, the principal investigator for the Manhattan Institute Project on the Costs and Benefits of Bank Regulation Since 2008, and codirector of the Hoover Institution Program on Regulation and the Rule of Law. Charles Calomiris joined Business Talk with Jim Campbell to talk about his new book. Listen here.